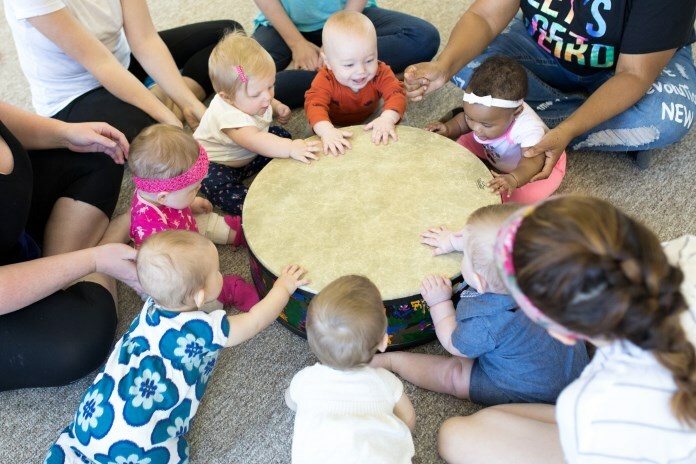 Music Together of Decatur - For Newborns, Infants, & Babies Under 8 Months! Did you know that-- just as babies are alert to the sounds of speech before they are born-- babies are keenly alert to the sounds of music before they are born? And they are primed to learn language and music in the same way: by immersion! It's never too soon to start! Join us for our Music Together® Babies Class, created especially for families with infants who are not yet crawling. You'll learn lots of new ways to connect musically with your little one and you'll bond with the other new parents in class, too! Our Babies Classes (for babies under 8 months at the start of the semester) are held Tuesdays at 12:30 in Oakhurst and Wednesdays at 12:30 in the City of Decatur. If those days and times don't work with your schedule, no problem! Babies are always welcome in our Mixed-Age Classes. See a schedule of classes and register here! Music Together of Decatur and Nurturing Notes Music Therapy are partnering to help get you and your baby off to the very best start! Join Kenya Enrgam, Owner / Music Therapist at Nurturing Notes Music Therapy for Mommy Melodies. Learn how to use music and play so that you can feel more confident in using your voice and instincts to nurture your little one. Mommy Melodies (for babies under 3 months at the start of the session) is held at The Solarium on Tuesdays at 11:30, right before the Babies Music Class. 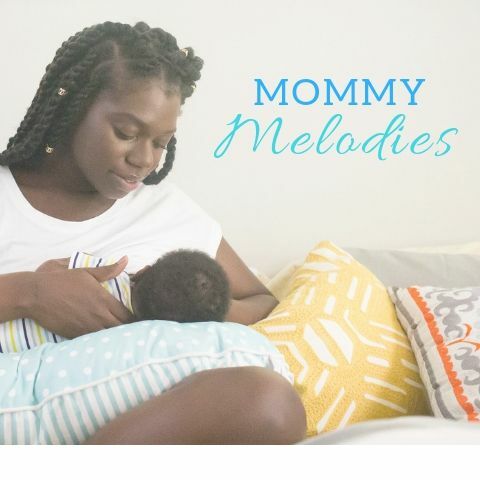 Pay $75 for the 6-Week Mommy Melodies Group (for Babies Under 3 Months). Register with Nurturing Notes here. Pay $175 (including all of the support materials) for the 10-Week Music Together Babies Class (for Babies Under 8 Months). Register with Music Together of Decatur here. Pay $175 (including all of the support materials), attend the 6-Week Mommy Melodies Group, and then "graduate" into the Music Together Babies Class. Register for Nurturing Notes here and use coupon code Graduate when you register for Music Together of Decatur here.